SVI had outstanding success in the 2016 round of NHMRC Project Grants, with more funds awarded to SVI through this scheme than ever before. It is particularly gratifying to see the success of our early to mid-career researchers in this year’s round. There are a number of major achievements to note – not only was Dr Mark Chong awarded two Project Grants, but he also joined Michael Parker in the elite of Australian medical research by dint of an NHMRC Senior Research Fellowship. Dr Andrew Deans, who moved to SVI in 2012 after a successful postdoctoral period at Cancer Research UK, was awarded an NHMRC Project Grant, a grant from the Fanconi Anemia Research Fund and capped the year off with a grant from Cancer Council Victoria. Our most recent recruit, Dr Wayne Crismani, who you may have read about in the last issue of The Edman, was awarded an NHMRC Career Development Fellowship. There is a lot of concern in the sector about women in the research workforce. SVI’s cohort of female scientists continues to perform strongly. Success came this year to three of SVI’s senior faculty – Geraldine Mitchell, Natalie Sims and Louise Purton all received Project Grant funding. Previous recipients of the Susan Alberti Women in Research Award, Drs Urmi Dhagat and Sophie Broughton, were also successful in the 2016 Cancer Council Victoria Grants-in-Aid scheme. 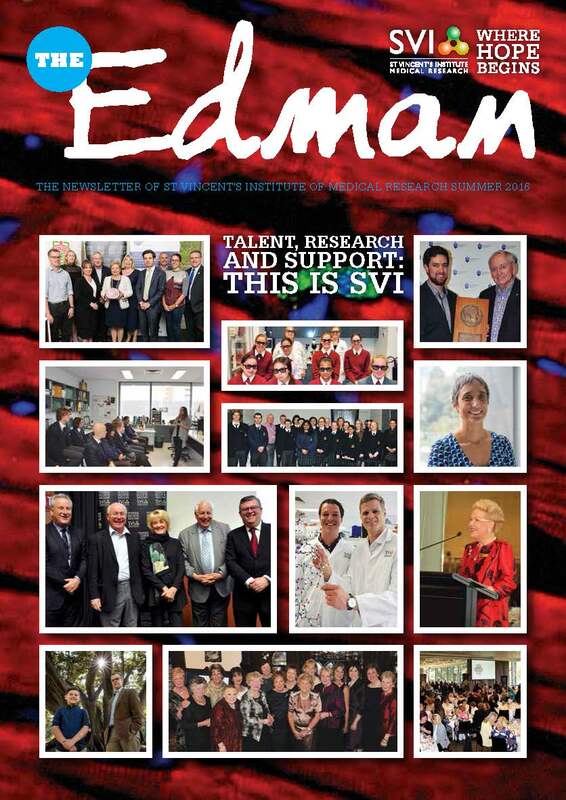 You will also read in this issue how philanthropy is helping us to support women in research. In October, 5point Foundation awarded the inaugural Christine Martin Fellowship to SVI’s Dr Jess Holien, whose experience in molecular modelling is invaluable to many research projects at the Institute. As the year comes to a close, we thank you for your valuable support in 2016, which is key to the success of our research. I wish you and your families a happy holiday season and look forward to keeping in touch in the year to come. Cancer, type 1 diabetes, osteoporosis and liver disease research at SVI will be boosted by more than $6million thanks to the most recent round of funding for SVI from the National Health and Medical Research Council (NHMRC). The outcome of the NHMRC Project Grants, which fund 3-5 year-long research projects, as well as the salaries of many of our researchers, is eagerly anticipated by the sector. These competitive grants are an essential and time-consuming part of researchers’ lives. The funding accounts for a large part of SVI’s income as a whole, and represents the sole source of external support for some of our smaller labs. The $6.6 million in SVI Project Grants represents the most funding that SVI researchers have ever received from the NHMRC for the Project Grant round. Researchers Andrew Deans, Geraldine Mitchell, Stuart Mannering, Natalie Sims, Carl Walkley, Louise Purton and Mark Chong received Project Grant funding, with Mark Chong receiving two grants in this round. SVI’s Professor Michael Parker and Dr Mark Chong were also recently awarded Research Fellowships, which are 5-year Fellowships that support Australia’s leading health and medical researchers. This is Mark Chong’s first entry into the highly competitive Fellowship scheme. Recent recruit, Dr Wayne Crismani, was also awarded a Career Development Fellowship. SVI Director Professor Tom Kay says that the NHMRC funding represents an important boost to SVI's research capacity. "In addition to the significant projects that are being funded, it is heartening to see the success of a range of researchers at different career stages. This year's result is a testament to the quality of the research being conducted at the Institute, highlighting the scope of the Institute’s research projects and the talent and dedication of its researchers." Dr Mark Chong received two Project Grants. These will allow his group to investigate mechanisms by which immune cells and stem cells are produced and controlled. He says that this work will give insights into many human diseases, including immunodeficiency, autoimmunity and cancer. Dr Andrew Deans received funding to investigate how DNA repair protects the body from cancer, with a focus on understanding the mechanisms behind Fanconi anaemia. Andrew says that Fanconi anaemia is an inherited disorder that carries a greatly elevated risk of leukaemia and cancers. “This study aims to understand how DNA repair protects us from cancer, and may lead to new forms of cancer treatment,” he said. Associate Professor Natalie Sims received $900,000 to find new ways to improve bone strength in order to treat and prevent painful fractures. Natalie says that her group has found that a brain-like network of cells inside the skeleton, called osteocytes, use a specific signal, called SOCS3, to make strong cortical bone. “This study will find out how SOCS3 works and find new ways to make cortical bone strong and healthy,” Natalie Sims said. Associate Professor Stuart Mannering has discovered new targets ‘seen’ by the immune system that may explain why the immune system causes type 1 diabetes. His $1,239,989 grant will allow his team to determine if responses to these targets cause type 1 diabetes. “Our results will have a major impact on efforts to develop new therapies for type 1 diabetes and other autoimmune diseases,” Stuart said. SVI scientists have used the Australian Synchrotron to reveal how bone made in people taking hormone treatment for advanced osteoporosis is likely to be stronger and more durable than previously thought. This offers new insights into skeletal diseases and ways of predicting who may be at risk of fractures and breaks. The experimental technique, published in the journal Bone, uses infrared synchrotron light to monitor tiny sections of newly-formed bone at different times, in conditions mimicking the human body, influenced by parathyroid hormone treatment (PTH) or teriparatide. SVI’s Associate Professor Natalie Sims, leader of the research team, says PTH is one of very few recommended second-line treatments for people with serious bone diseases, including osteoporosis. “PTH stimulates the production of new bone when bone fragility persists after first-line treatments fail, but previous studies suggested this replacement bone was not as strong as existing bone which, in turn, was thought to be behind ongoing fractures and breaks in people who had daily PTH injections. 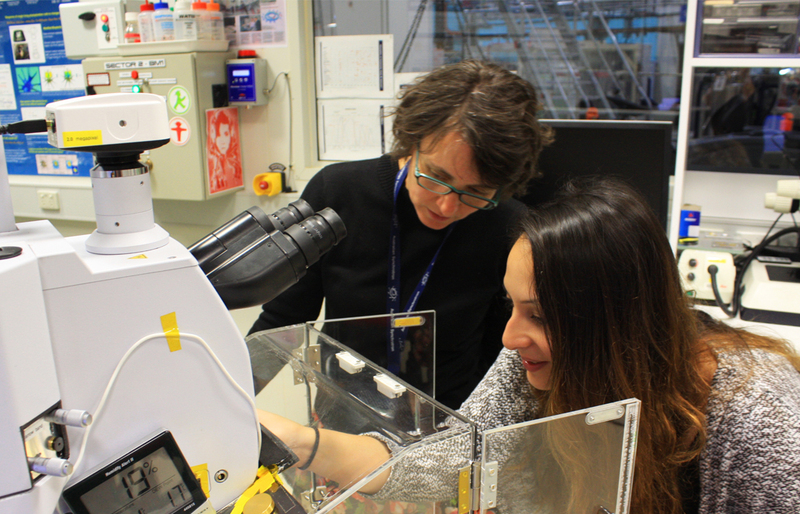 Associate Professor Sims says that using the Australian Synchrotron, landmark research infrastructure of the Australian Nuclear Science and Technology Organisation, gave the research team new appreciation of how bones regrow, in unprecedented detail and accuracy. “When bone forms, collagen is laid down in a matrix, in which calcium builds over time in a process called mineralisation – it is crucial that we can probe deep into the bone matrix because on the surface, just like wood, both weak and strong bone can look exactly the same. Beryl was 57 when she was diagnosed with osteoporosis. “When my mother was 86 and living with us she had severe, sharp pain in her thoracic spine. I called our GP who said she had an osteoporotic fracture. As I was responsible for looking after her I visited the MOVE muscle bone and joint health library to learn more about osteoporosis. I found out that it was hereditary, so I asked my GP for a bone densitometry test and found out I had osteoporosis but had not reached the fracture threshold like my mother, and therefore I had no symptoms. There were no dramas in the family when I was diagnosed because I had no pain and was immediately put on medication, increased my calcium and vitamin D intake and I made sure I did appropriate strength training exercises. 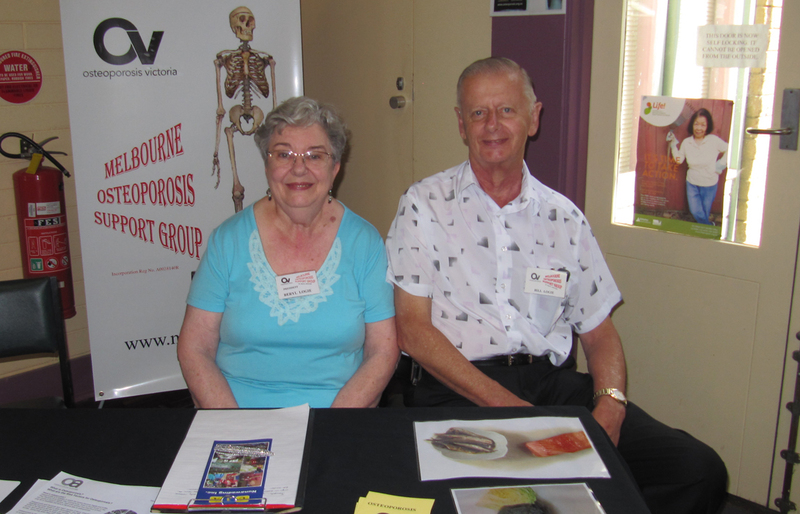 Establishing the Melbourne Osteoporosis Support Group has helped me learn about and manage the condition. I have no real concerns about my health generally, but the risk of fracturing as a result of a fall is always on my mind. 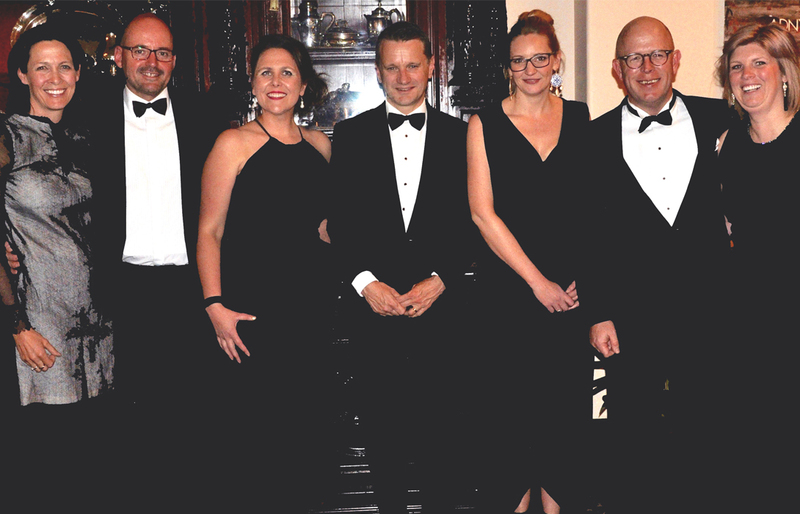 Dr Jess Holien was awarded the inaugural Christine Martin Fellowship at the 2016 SVI Support Group dinner held on October 13th at the Athenaeum Club. The Fellowship, funded by 5point Foundation, is named in honour of Christine Martin, the late wife of former SVI Director Professor Jack Martin. Christine Martin was a vital member of the SVI family; she and Claire O’Callaghan first formed the idea of the SVI Support Group some 27 years ago. Since that time, the Support Group has been raising funds through its networks to support SVI students. There were many fond memories of Christine exchanged at the Support Group dinner, which also featured a moving speech by her son, Simon Martin, now one of the Directors of the philanthropic 5point Foundation. Simon told the guests that his mother not only played a critical role in their family life, but also had many professional talents. He also said that the vision of 5point Foundation would have been close to his mother’s heart – to positively impact the health, wellbeing and education of children and families. 5point Foundation chose to honour this vision by supporting a Fellowship for an outstanding female researcher at the Institute who has experienced a career disruption. SVI’s Dr Jess Holien was selected as the inaugural recipient of the 2-year Fellowship. Jess is an emerging researcher with the potential to be an outstanding scientist. Her expertise is in molecular modelling, with a strong focus on designing inhibitors of protein-protein interactions to find new treatments for cancer. In addition to her success as a researcher, Jess is mother to two young children. She explained to the guests on the night how excited she was to be selected for the Fellowship and expressed her commitment to research, which over the next 2 years will focus on finding new treatments for neuroblastoma, the most common cancer in children. We congratulate Jess on the Fellowship and thank 5point Foundation for their ongoing support of the Institute. 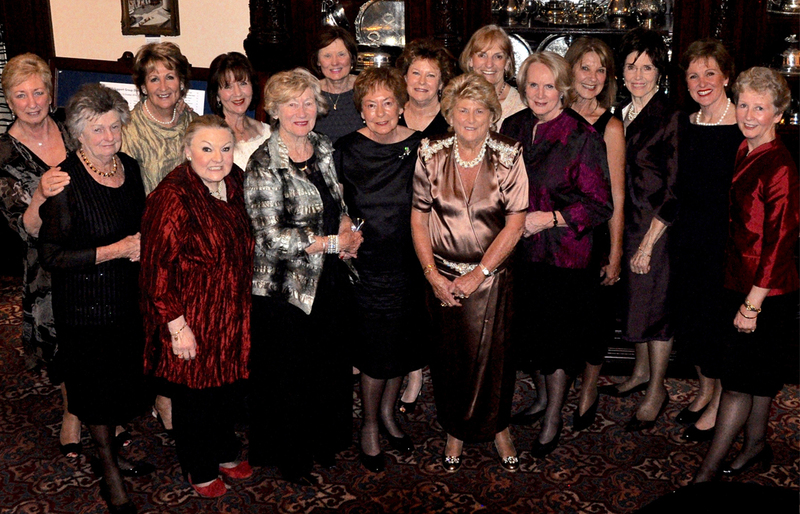 This year’s Annual SVI Support Group Black Tie Dinner was held at The Athenaeum Club on October 13th. Since its inception 27 years ago, the Group has raised more than $400,000 to provide SVI Student Scholarships through donations raised at this event. This year’s cohort of SVI Student Scholarship recipients joined a room full of generous and enthusiastic supporters and Support Group members, and was treated to some inspiring speeches from the Chair of the SVI Support Group, Claire O’Callaghan; SVI Director, Tom Kay; SVI Foundation Board Member, Benni Aroni and Scholarship recipient, Jasmina Markulic. Also announced at the dinner was the recipient of the Christine Martin Fellowship, supported by the 5point Foundation, Dr Jess Holien. SVI would like to acknowledge all those who have donated to scholarships at the Institute, and especially thank the SVI Support Group for 27 years of loyal support. 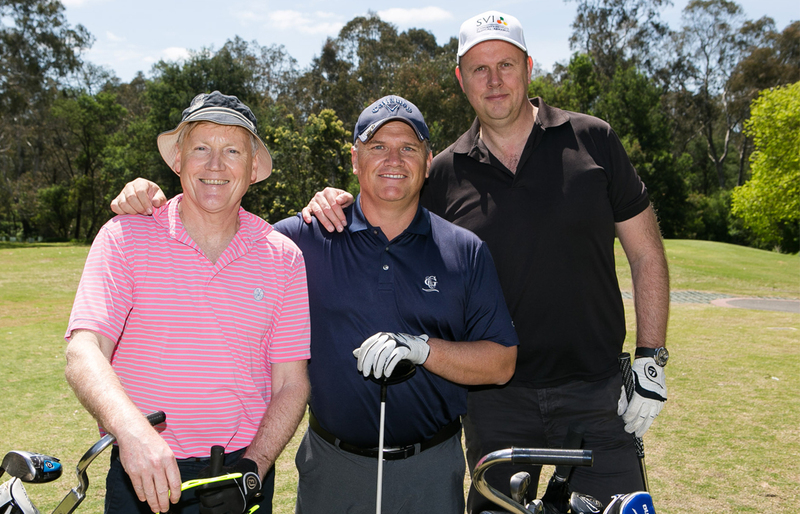 Thanks to the support of our corporate sponsors, participants and other supporters, more than $95,000 was raised for SVI research at our Annual Golf Day on Monday October 24th. This brings our fundraising total for this annual event to almost $800,000. This was the 5th year Macquarie Leasing was the platinum sponsor of the Day: thanks to Andrew Sidery and Macquarie Leasing for their ongoing enthusiasm and generous support for our Charity Golf Day. Thanks also to our three silver sponsors – Maxxia, AGL and Bertocchi Smallgoods – and 10 bronze sponsors; and to our entertainers on the day for sharing their talents with us: singer Emily Soon, bagpiper Andrew Leslie and comedian Greg Champion. Melbourne’s unpredictable weather cooperated this year and, after a rainy and windy weekend, produced a beautiful, sunny day for all participants. This boded well for the golfers out on the course; congratulations to the AGL team of Dexter Prack, Troy Pullar, Paul Hoefer and Amanda Turner, who won the Jack Holt Trophy for finishing first on the day with a score of 52.125. The Bertocchi Smallgoods team, including Robert Ruffle, Frank Di Virgilio, Brian Wyness and Lou Spinosa, weren’t far behind with a score of 52.625. Congratulations also to the winners of the longest drive on the 15th hole: Dexter Prack and Margaret Batrouney, and to the successful bidders of the verbal and silent auctions. As mentioned on the evening we are grateful for the support from individuals and organisations that ensures SVI’s researchers can continue to make life-changing discoveries. Thanks again to everyone who supported SVI on the day; we look forward to seeing you all again next year. Thanks to Gerald Snowden, Patron of the Jack Holt Bequest Society, who in November hosted the Annual Jack Holt Society Morning Tea at his home. Members of the Society were treated to traditional finger sandwiches, scones with jam and cream, and tempting sweets on one of Melbourne’s notorious cool spring days. It was a wonderful opportunity to acknowledge and thank those who have made a commitment to financially support SVI in their Will, catch up with each other’s news and get a brief update about SVI’s activities. 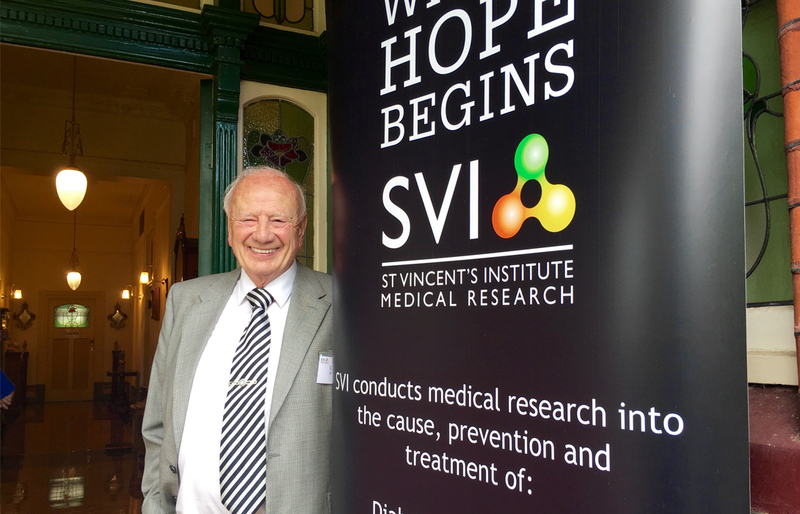 SVI was established thanks to a £200,000 bequest left by racehorse trainer John ‘Jack’ Holt in 1951. The Jack Holt Society has been established to honour the generosity of those individuals who have notified us of their intention to pledge a gift in their Will to SVI. We were saddened by the recent passing of Mrs Elda Schiavello. 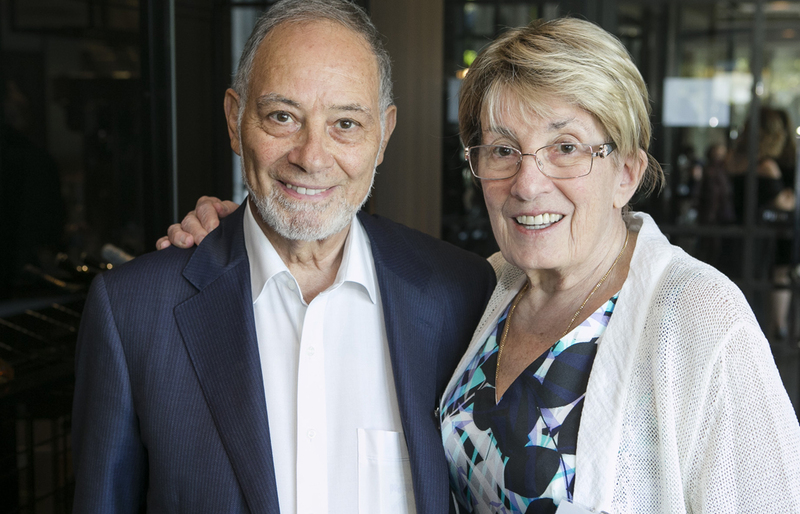 Elda and her husband Tony have been friends and benefactors of SVI for many years, for which we are deeply grateful. In 1949, Elda immigrated to Australia, where she met her husband Tony when she was only 15 and they became family friends. They married in December 1962, going on to spend almost 54 years together and having three children - Peter, Gabriella and Paul. Their family business grew from the backyard of their family home to become one of BRW’s top 100 privately owned companies, with a state of the art facility in Tullamarine. Elda was central to the growth of the family business, supporting Tony in a multitude of ways, along with raising their children. Elda was the proud Nonna of 11 grandchildren, Anastasia, Monique, Anton, Natalia, Xavier, Tatiana, Lawrence, Amelia, Kristian, Gabriel and Ilaria. Elda was also great-grandmother to Dallas Jr and Stella. We send our deepest condolences to Tony and his family.